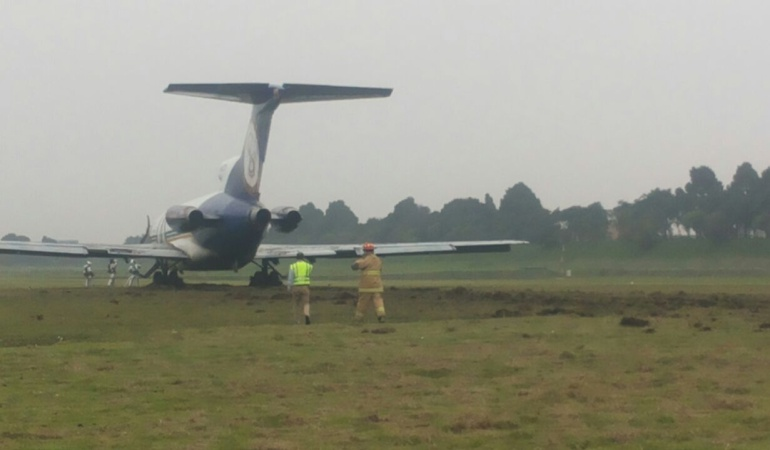 After a rejected take-off the aircraft ran beyond the end of the runway coming to a stop on the grass. 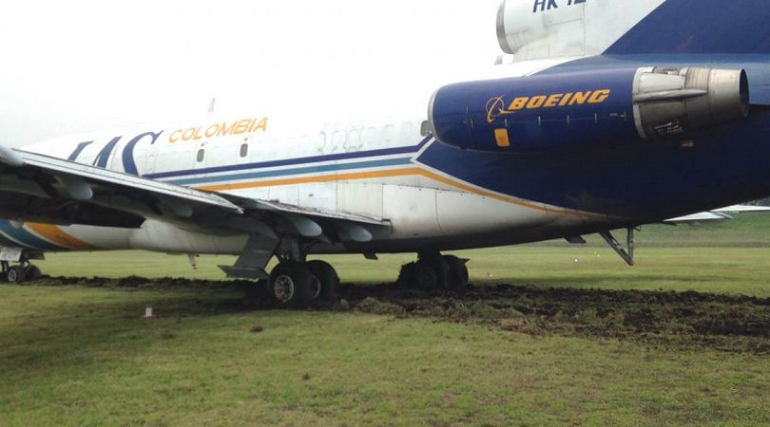 All four people on board remained unhurt. 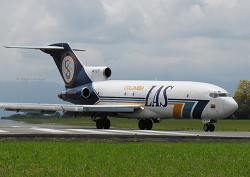 The 49 year-old Boeing 727-100F was operating on a cargo flight to Pesco and into its take-off run of runway 13R(ight) when the pilots were forced to abort the take-off, highly probable this occurred at a higher speed. 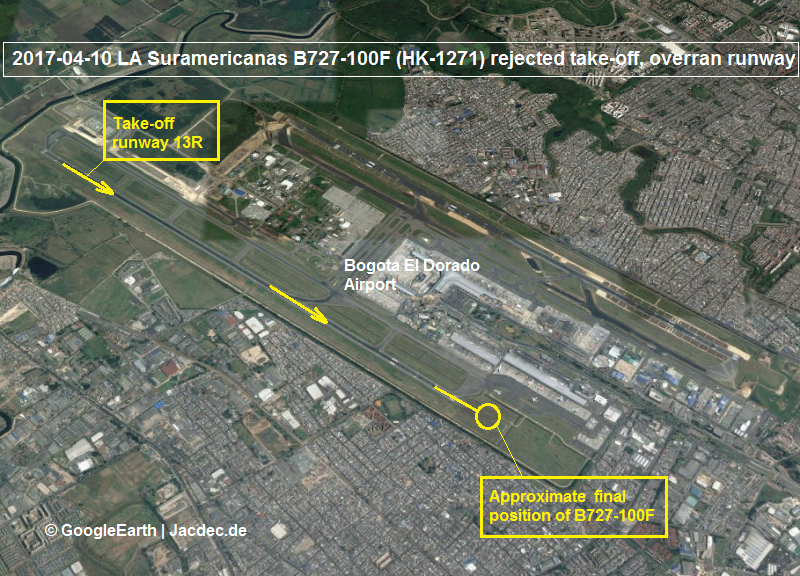 The pilots were unable to stop the tri-jet before the end of the runway (lengh 3800 m / 12467 ft.) resulting in an overrun. 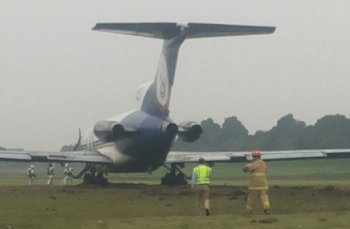 With considerable speed, the aircraft passed the end of the runway and came to a halt on unpaved, but even ground. The undercarriage did not fold as it dug into the earth only about 25 cm (10 inches). 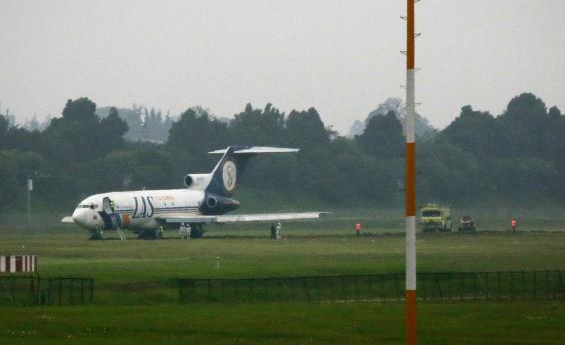 The crew of four disembarked without injury. 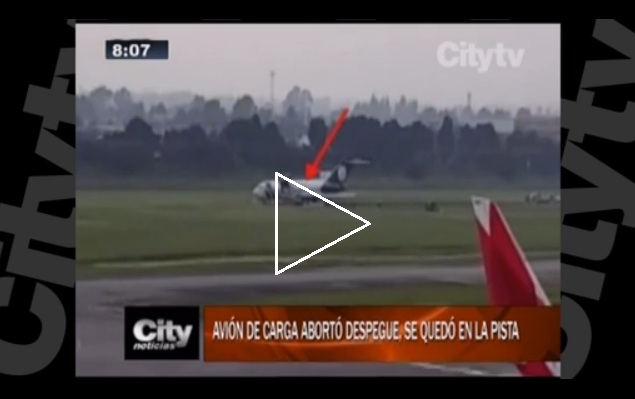 The reason for the decision to abort the take-off was not disclosed immediately. 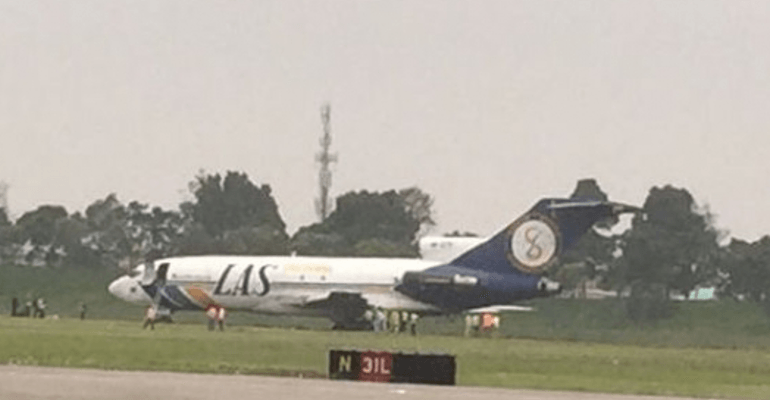 The MD-82 freighter was damaged in an overrun of the take-off runway at San Luis Potosi, Mexico.